Morocco transforms Western Sahara towns into "real prison"
Boumerdes (Algeria), August 18, 2018 (SPS) - The minister of the Occupied Territories and Saharawi Community Abroad, Bachir Mustapha Sayed, said Moroccan occupation authorities has transformed the towns of occupied Western Sahara into a "real large prison," where "all kinds of human rights abuses are committed." "The first of the violations perpetrated by Morocco in occupied Western Sahara territories is that of the right of self-determination and, as a result, all human rights are trampled by Morocco, which has invaded the Saharawi territories with hundreds of settlers, who are instigators of hatred against Western Sahara people," Mustapha Sayed told APS on the sidelines of the closing ceremony of the ninth Summer University of Polisario and Saharawi Arab Democratic Republic (SADR) executives. 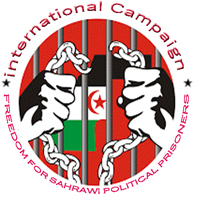 For the Saharawi minister "it is the very nature of Moroccan occupier," who tested all kinds of torture, imposed displacement and enforced disappearances with intensified pace" against Saharawi people.